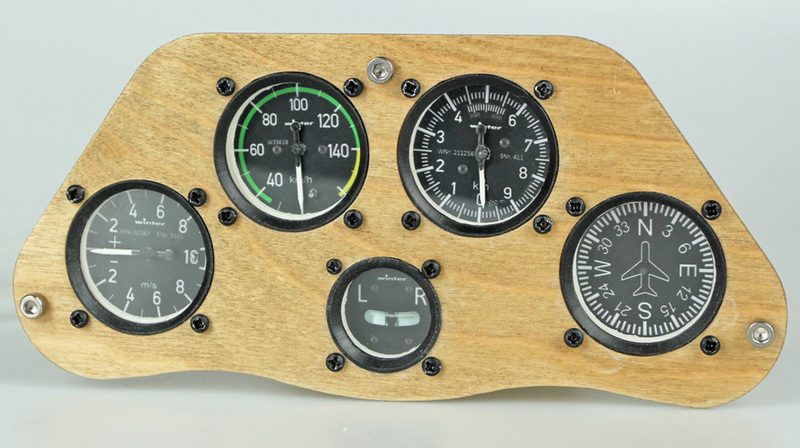 On this page you can see how an instrument panel can be made by yourself using Scale-Avionics instruments and accessories. 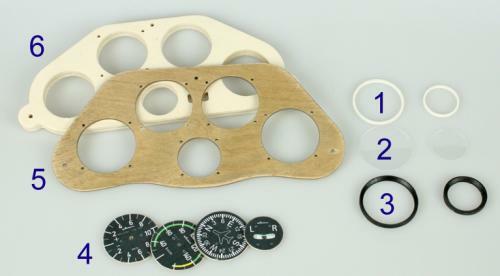 You need spacers (1), glass plates (2), instrument rings (3) and instruments dials (4). 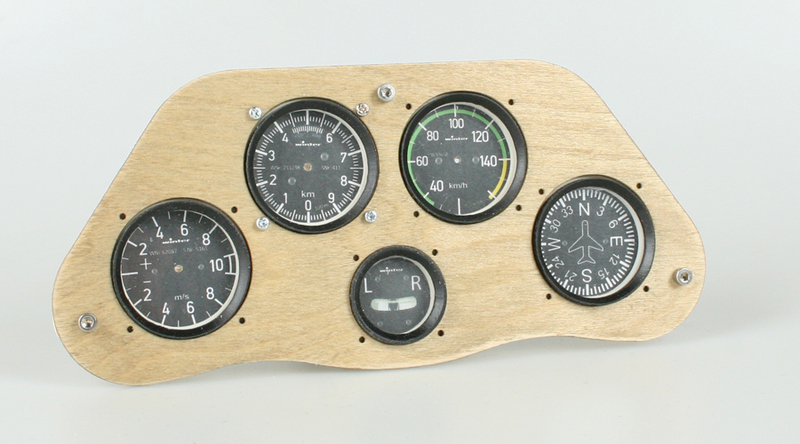 The main panel should be made by a 2 mm front panel (5) and a 8 mm thick back panel (6). 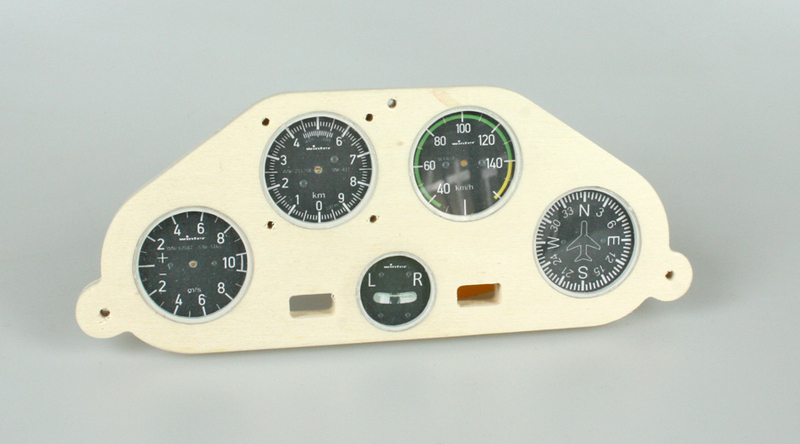 All dials, spacer and glass plates must be fitted into the back plate holes. The glass plates had to be flush mounted at the front of the back plate. Tip: The plywood front panel shown on this images was stained with an extract of black tea and a few drops of black tinting paint. 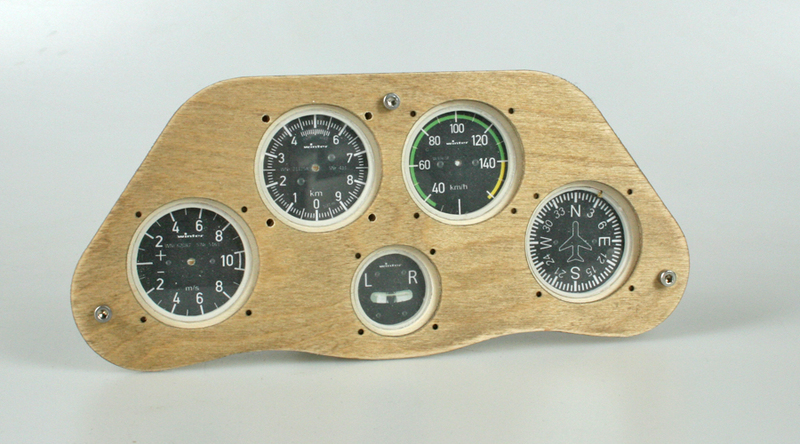 Slightly sanded on the edges, typical traces of usage will appear. 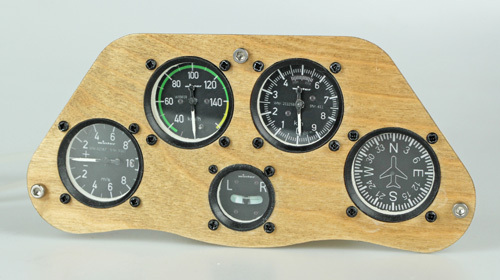 The different bores in the front panel depends on the instrument rings. The exact placement between front and back panel can be achieved by congruent bores, e.g. for 3 mm screws. The assembly of the instrument rings (see image below) completes the preparation. On the next workshop site you can see how the stepper motors and pointers will be fitted.